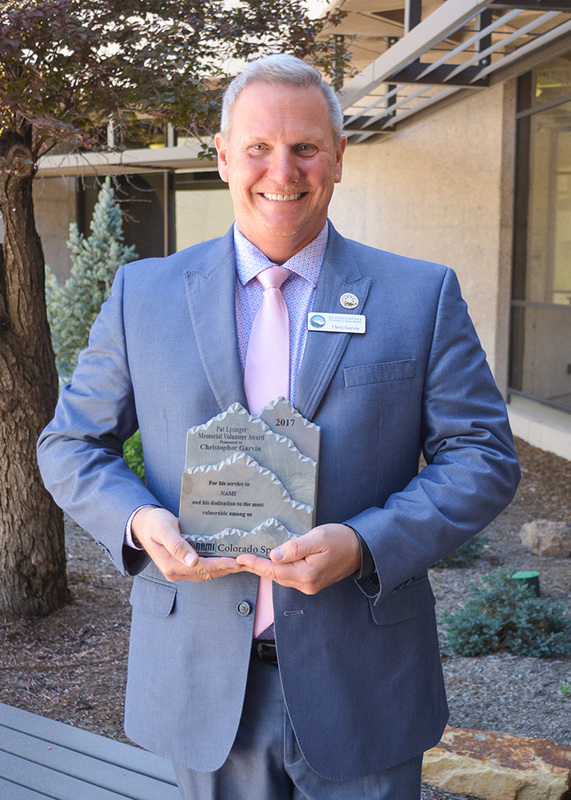 El Paso County’s Chris Garvin was given the Pat Lysinger Memorial Volunteer of the Year Award by NAMI, the National Alliance on Mental Illness at the annual Stepping Into the Light breakfast on May 3. 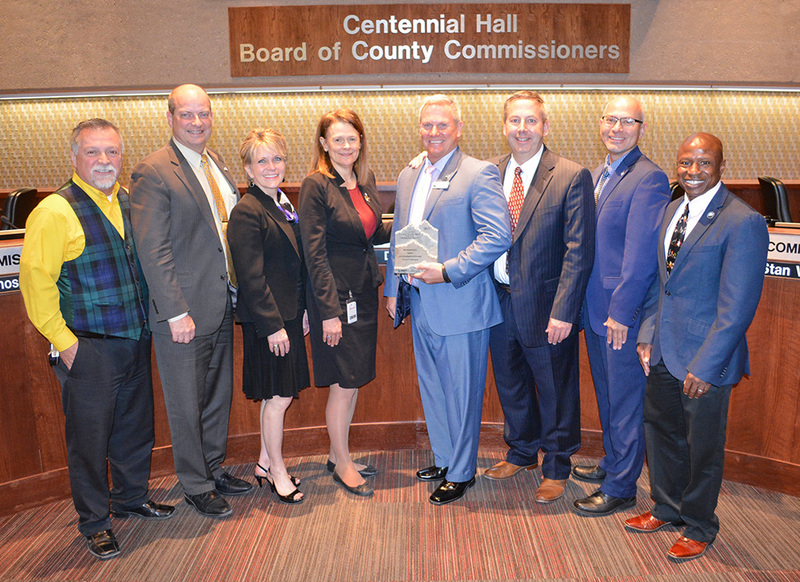 Julie Krow, Department of Human Services Executive Director, presented the award to the Board of County Commissioners on. Garvin is the Deputy Executive Director of the Department of Human Services for El Paso County. His career in county social work spans 34 years, including 24 years with El Paso County. He served on the NAMI board of directors for six years.